Image of traditional English country cottage (Reigate Surrey) of the type found in south east England, UK. 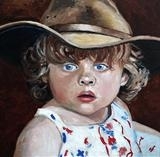 Painted in oil on board in post impressionist style. 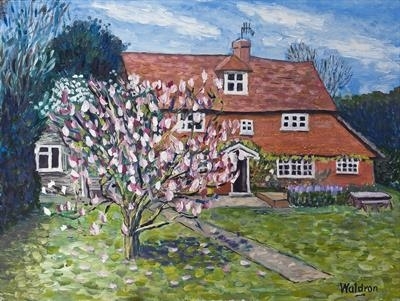 A traditional English country cottage set in a garden with a magnolia tree in the foreground. Pinks are set off by greens and blue complimentary colours. Painted in post-impressionist style by this upcoming artist.